Aslan Yandiev, a native of Ingushetia, extradited from Slovakia to Russia in the summer of last year, faces a prison sentence under several serious articles, and his relatives say that he is seriously ill and are scared for his life. Yandiev’s case has been taken over by the Investigative Committee. The charges include banditry and participation in illegal armed group (IAG). Since 2011, the Russian security services have fought to extradite Yandiev, while he and his defenders tried to avoid this and sought the protection from the Europeans. But all was in vain. Aslan never pleaded himself guilty to any of the episodes. But he has served eight years already. According to the relatives, he knew that he was being searched for trumped-up charges and sought asylum in Europe. The torture case is standstill in the ECHR. The Slovak justice neglected the ban of the UN Human Rights Committee on extradition of Yandiev to Russia. In short, he was absolutely unlucky. After 7 years of expectation and isolation, he, being sick and exhausted, now waits for the court hearing in a cell of the Vladikavkaz detention centre. He was denied the confirmation of disability and placement under house arrest. Vayfond provided Yandiev with a defender well-known in the Caucasus, Andrey Sabinin. – Now we have completed the investigative activities. I think that by the end of the month the case will go to the Prosecutor’s Office to confirm the indictment. 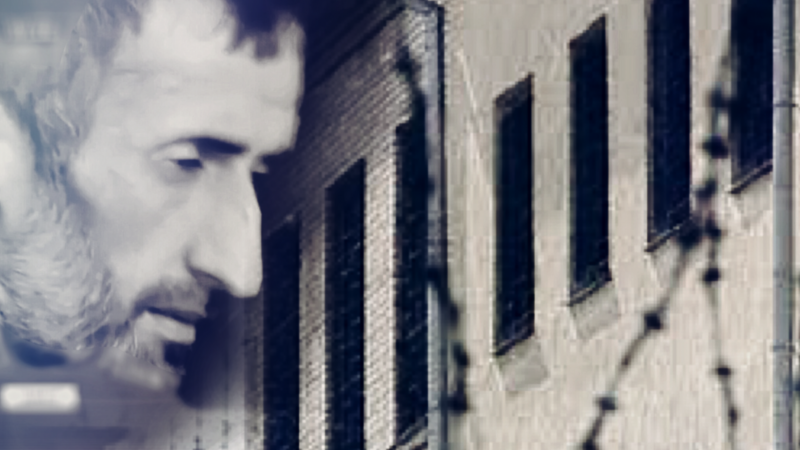 Yandiev is now in custody in Ossetia, in the Vladikavkaz detention centre. – On what ground did the court refuse to place Yandiev under house arrest? – They never place anyone under house arrest with such serious accusations. But his charge is almost three times decreased in comparison with the situation at the time of extradition. There remained five articles of the fifteen charged to him. The investigation worked correctly; partially they listened to my arguments and got it sorted. – How is he treated in the detention centre? The Ingush people are usually afraid to be at the Ossetian siloviki (security forces). – I checked the conditions of detention. He is well treated. The conditions are quite normal. There are now, as it should be in all detention centres: prisoners are neither humiliated, insulted, beaten nor under mentally pressure. I have several clients there and no one complains about the treatment. Today, for me it is the most exemplary detention centre of all that I have seen. Its staff communicates with me very politely too. So they do with other, as I can see. Of course, there are strict rules and restrictions. But the staff does not go beyond their authority. – How is your client hanging in there? – He has poor health. And now he also is in a serious psychological condition. He is depressed. The man spent 8 years in custody under investigation. I do not know of any other such cases, so that a person was in the detention centre for so long. – Where will be Aslan Yandiev tried? – Most likely it will be the North-Caucasian District Military Court in Rostov city, because the cases under article 205 (“Terrorist Attack”), which is charged to Yandiev, are considered only by them. – In your opinion, was the Yandiev’s case fabricated? – My client denies his participation in the crimes charged to him. I have not yet fully seen the whole case and I am not ready to draw final conclusions. But if he does not acknowledge guilt, then I cannot have another position. – What is your forecast, what are your prospects over the case? – I have no complaints about the level of investigation. Absolutely all my requests were granted. The witnesses whom I asked to transfer were transferred; the polygraph test, which I asked for, was carried out. Medical assessments, which I requested, were carried out, medical and social assessment – too. I was not denied any request with regard to the realization of the right of defender. When this happens, you believe that they are indeed trying to figure it out. – It is reported that Yandiev entered Slovakia with forged documents. Is it true? Will it harm him now? – It does not harm him anymore, because the period of limitation for bringing to responsibility for using a fake passport expired long ago. In comparison with particularly grave articles, this is nothing. – What is the most important thing at the moment in Yandiev’s case? – The fact that he has been in the detention facility for an unprecedentedly long time. We have appealed the continuing detention four times already, but the courts consider this circumstance differently. My position is that a person is held in custody for 8 years, and Russian justice believes that he is held only for 7 months. They do not take into account the Slovak period. I plan to bring this situation to the European Court of Human Rights, to find out how they will count the term of Yandiev’s isolation. It turned out that the Russian precedents are very poor in this matter. Years of imprisonment in the Slovak prison become truly a real challenge for a man. All this time his fate remained in question, and the investigation essentially did not progress. In addition, he was deprived of communication with his relatives. According to Yandiev’s brother, Timur, the family did not have the means to go to see him in Europe. Relatives collected only small amounts to be sent to prison. This gave Aslan the opportunity to contact his family once a month and buy at least the items which are vital in the cell. Since the brother is sick, he is a disabled person of the second group, we hoped that he would be allowed to be under house arrest. He received disability even before he became a wanted man. But he had to take a certificate of disability every year. Of course, when he was on the run, he could not confirm his disability once again. Now, during the investigation, a medical examination was again carried out, but, as we believed, this time the doctors did not notice the disability. And his illness is also not included in the list of diseases for which a person cannot be detained. It is important to note that all these seven and a half years in Slovakia Aslan was almost all the time alone. Sometimes he had a neighbour in the cell, but not for long. In fact, he was alone in the cell. And it aggravated his condition, of course. He has been extradited to Russia in any case, then why didn’t they do it right away? He lost so many years. After all, this is a civilized democratic Europe! We did not expect this to happen in the European Union. He was stressed and became extremely emaciated because of the extradition. We now pass over to him parcels, products, but still we have not received a full visit with our brother. We will be seeking it. Of course, I believe that my brother is innocent, that he is clear on the law. He suffers from chronic diseases from childhood and he was at home, he did not participate in any armed groups. Most of all the relatives are concerned about the Yandiev’s condition. He is ill, but he is not recognized as the sick and does not receive the necessary help. According to the family, Aslan’s defender, Andrey Sabinin, forms the defence very professionally and has already been able to achieve a lot. He timely declares all the necessary requests in the interests of the client and seeks to use them. It is expected that the trial on the merits of Aslan Yandiev’s case will begin in February. According to Timur, the people who slandered him could have confirmed their words about torture and testimonies obtained through beating, but whether this will happen is not known for sure. It is likely that they have already been under preventive pressure, as important witnesses for the defence.